Almost every school across the country has a whole collection of inspirational posters adorning the walls. I can picture a particularly cheesy one hanging on the well-traveled hallways of my elementary school. It read: “You miss 100% of the shots you don’t take.” This poster was always worth a prepubescent eye-roll. I remembered this slogan as I waited not-so-patiently for my delayed flight home after one of the most exciting trips of my life. I had just experienced my first conference ever. It was exhausting and exciting and a million other adjectives all at once. My general assumption is that I am young and inexperienced, and therefore unworthy of notice from all the brilliant librarians who have come before me. Why bother trying to attend ALA Annual? What would even be the point of attending a conference when I’m not yet in a position to change and better the profession? Yet. Well, I won. It wasn’t really in the plan for me to actually win, so it took some clever Tetris of the staff calendar (why does everyone seem to always want to take a vacation on the same week?) and some mild stalking of the airline websites, waiting for price drops. I made my husband and a friend come along for moral support, and also because we really love Disney World. They went to the parks while I adulted. It wasn’t in the plan for me to actually win, but it also wasn’t in the plans for me to have so many emotions while attending ALA. This is for work, right? How is it possible that I am having so much fun, and feeling so much passion about my field? The ALA Annual Conference is like puberty for young librarians. It’s terrifying and exhilarating all at once, and you feel the need to get out and change the world all at once, or you just might explode. 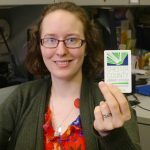 While at the conference, I went to ALSC 101 and the ALSC Membership Meeting, hoping someone might tell me how I can get involved, and not just pay the membership every year and never use it. The energy of ALSC is addictive. I swear they could have convinced me to sign up for anything. Everyone is passionate about providing a standard of excellence for library services for children. Seeing all those other people with the same drive as me was nothing short of inspiring. I won a ticket to the Caldecott/Newbery/Wilder banquet, so there were definitely other perks to my attending ALSC 101. Apparently I’m on a winning streak. Time to buy a lottery ticket! New conference goers take note: people dress up for the banquet. Thankfully, no one seemed to mind that I was wearing a khaki skirt. I tried not to mind either, and I succeeded. I was too busy listening to Matt de la Peña’s inspirational acceptance speech, and being star struck over spotting Kwame Alexander and Kimberly Bradley across the room. Squeal!! Other highlights of the conference included amazing speakers and breakout sessions, lots of swag in the exhibits hall, and meeting other professionals in the field. I loved hearing about their experiences and how they have impacted the populations they serve. I hope to one day be as productive as they. 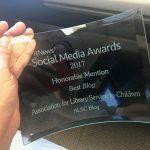 Young librarians and student librarians, take note: “You miss 100% of the shots you don’t take.” It’s a cringe worthy sentiment, but we work with children. We love cheesy, right? Apply for scholarships. Contact professionals in the field. Try to have new experiences and witness things from a new perspective. It will only benefit your professional life and in turn, benefit the library patrons you serve! Attend ALA Annual at least once. As long as you wear layers and comfortable shoes, you won’t regret it. Also, pack some tea bags and business cards. I forgot both, but at least I remembered sunscreen. Now that I’ve had about a month and a half of summer reading and insanity since ALA Annual to provide me with perspective, I realize that taking shots is important. Showing up is important. I learned that my young, naïve, inexperienced voice matters. I have to start somewhere, just like all these seasoned veterans once did. So, because I’m embracing the cheesy, but mostly because I can’t stop myself from making a Hamilton reference whenever possible, I’ll close with another quote: “I am not throwing away my shot. I am not throwing away my shot. Hey, yo, I’m just like my country, I’m young, scrappy, and hungry. And I am not throwing away my shot!” –Hamilton the Musical (in case you’ve been living under a rock). Our guest blogger today is Kelly Shea. 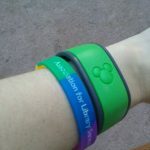 Kelly is a Children’s Librarian at the Paoli Library in Pennsylvania. Kelly is also a Penguin Young Readers Award winner which allowed her to attend the 2016 ALA Annual Conference in Orlando, Florida. Carpe diem….. Glad you enjoyed your first conference and have achieved so much. You earned it all. Glad you enjoyed this amazing experience. You achieved this because you went for it and didn’t let experience drive your future. Great job! Yay! So glad you applied! 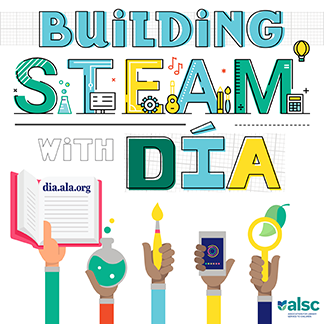 My going to ALA Annual led to my getting involved in ALSC… (the enthusiasm is contagious! )… led to my serving on committees… led to being on the committee that chose your application! So happy to pass on the enthusiasm! So glad the conference continues to inspire!